BRUCE Highway upgrades worth $6.7 billion and Galilee coal projects generating more than 10,000 jobs will be likely fast-tracked now the Coalition has won power. Queensland Premier Campbell Newman said Prime Minister-elect Tony Abbott had already phoned to say he was keen to get the Bruce Hwy, a $6.7 billion election commitment, and Gateway Motorway projects under way. Work on the Yeppen flood plain, which regularly cuts the Bruce Hwy south of Rockhampton, is expected to be one of the first projects to go ahead. 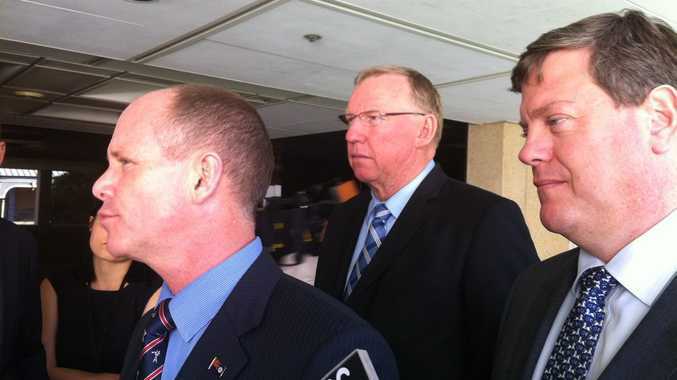 Mr Newman said the two LNP leaders also discussed devolving development approval powers back to Queensland and pushing the Galilee environmental approvals through "now". "If we can do that, together we can create 11,000 jobs very quickly in this state in the next 12 to 18 months and really get the economy of Queensland going," he said. "If Tony Abbott can get behind us in the way I would like we'll certainly be getting a lot of investment dollars into this state. "In 2014 we would see (the Galilee projects) ramping up with major construction work on ports and railway lines and mines." Mr Newman insisted his state would not take any risks with environment. "I won't stand for anything that ... in anyway jeopardises the environment values of this state," he said. Natural Resources and Mines Minister Andrew Cripps also envisaged a great boost in the resources sector but also said that did not mean open slather on development projects with environmental checks out the window. Queensland Opposition Leader Annastacia Palaszczuk said she was worried about states having environmental approval powers. "I would be very concerned if they wanted to start fast-tracking projects without taking into fact those environmental conditions that do need to be applied to projects of state and national significance," she said. Mr Newman said Cabinet met today and discussed pushing for the Commonwealth Government to settle unpaid bills and make a better deal for education funding. Treasurer Tim Nicholls said Queensland had to borrow $725 million for disaster relief payments, because the former federal Labor government had not paid up, and had to pay interest on that money. Education Minister John-Paul Langbroek said the election result was a great win for the state's schools and he was confident he could finally negotiate the deal Queensland wanted. Queensland refused to sign up to the Better Schools funding arrangement with the former Labor government, resulting in many a heated discussion and mud-slinging between the two levels of government.